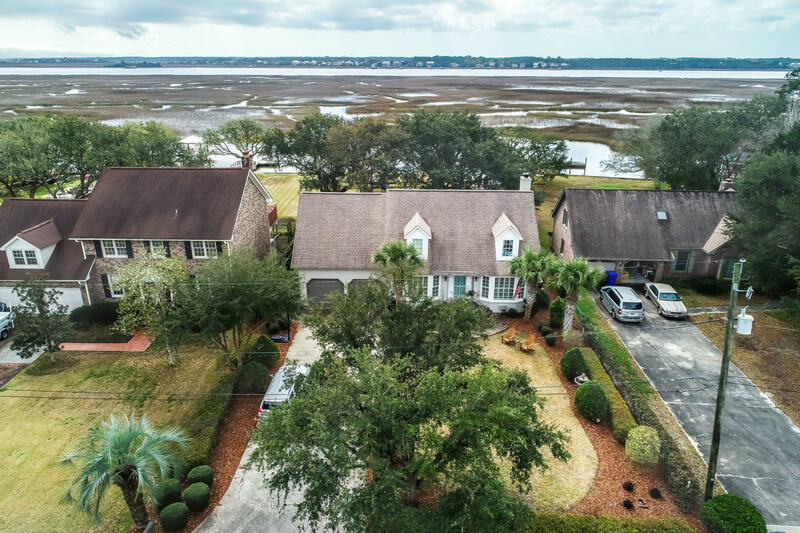 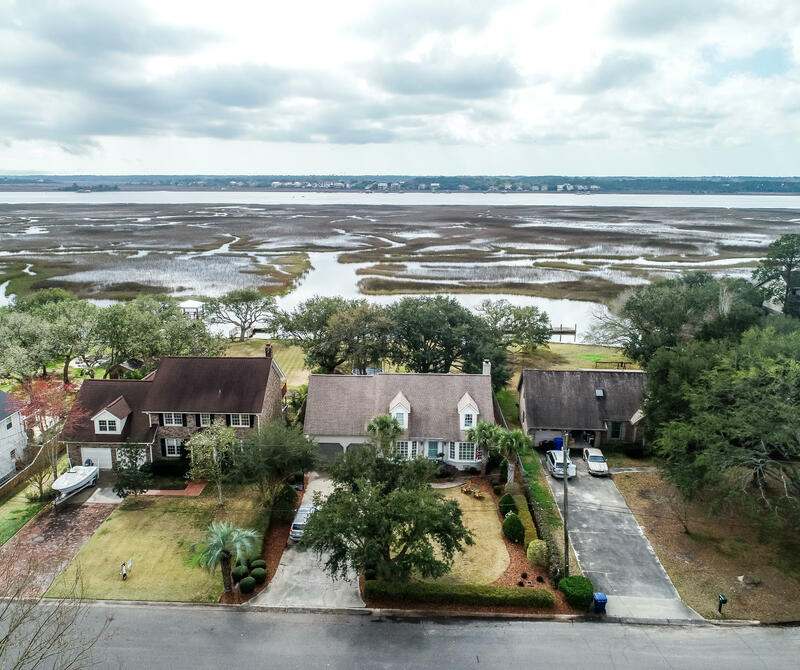 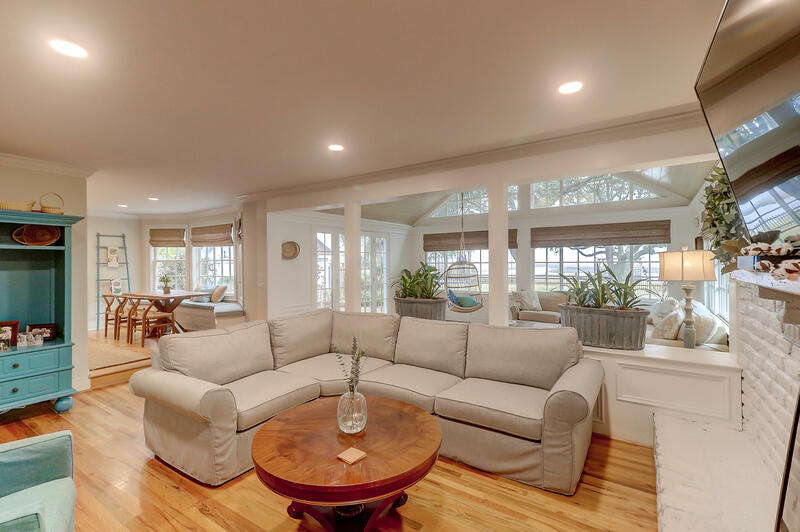 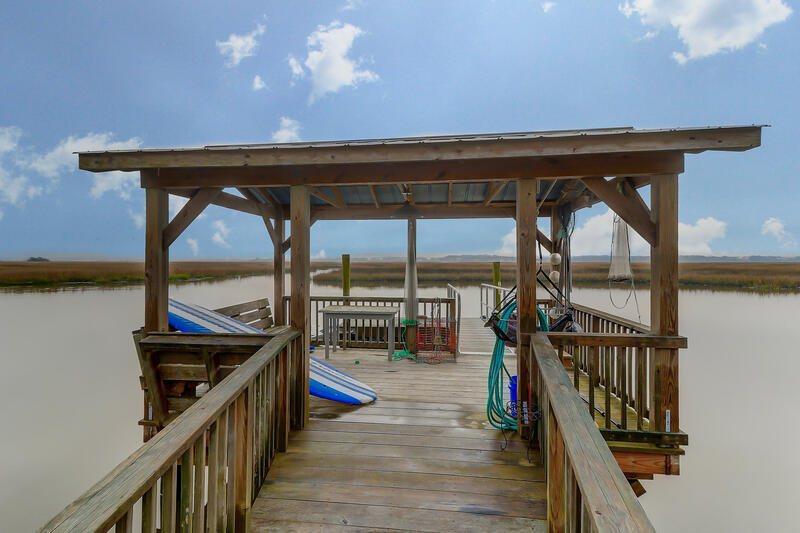 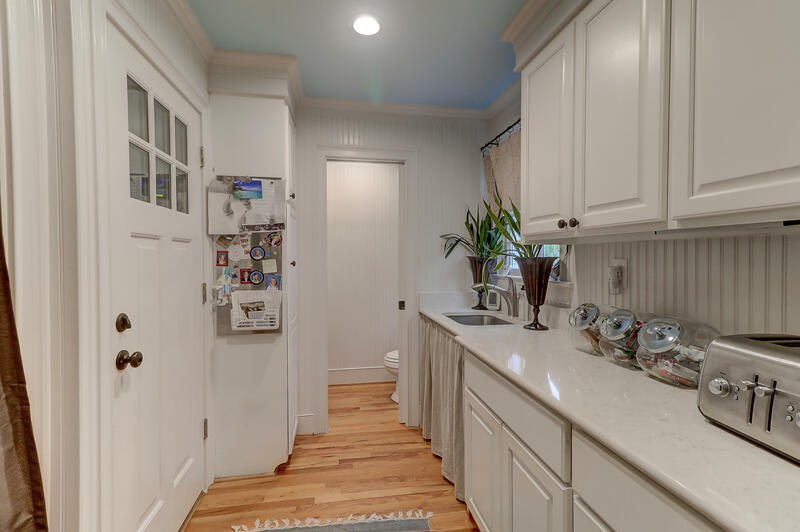 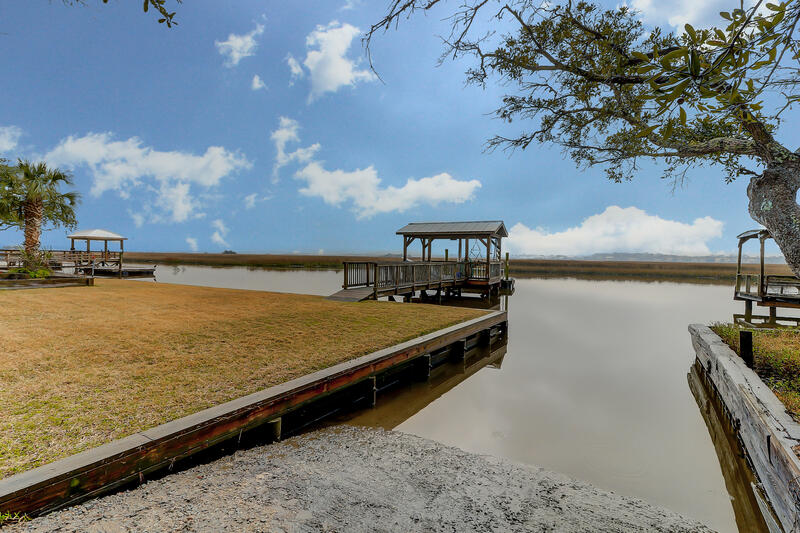 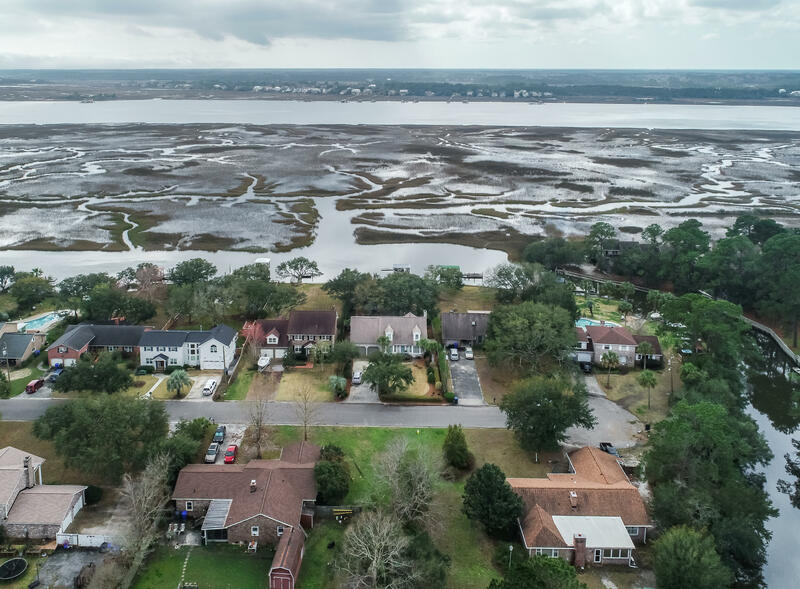 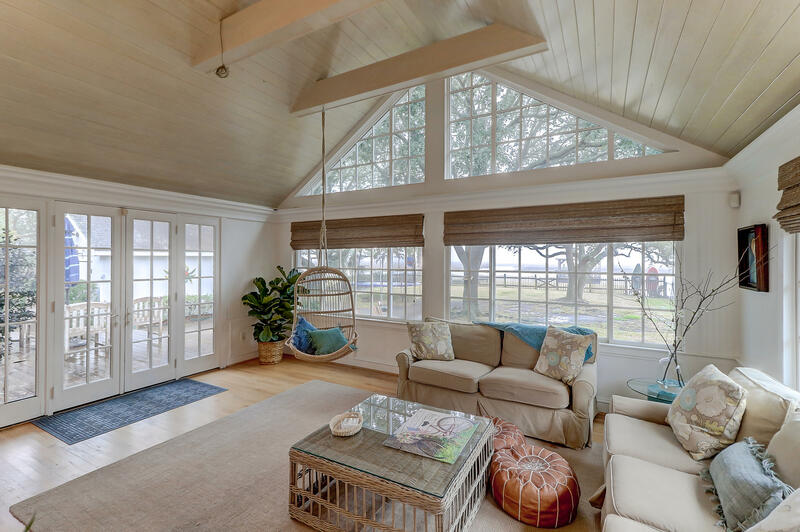 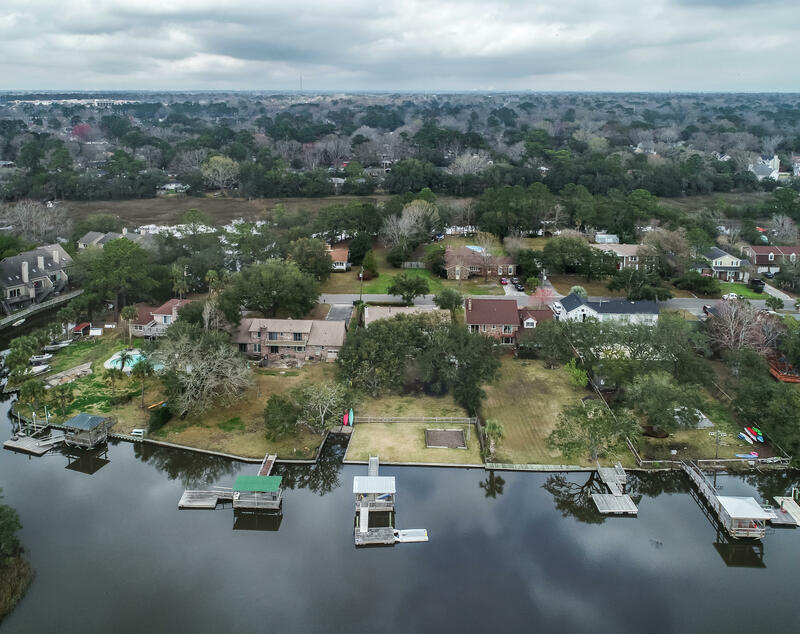 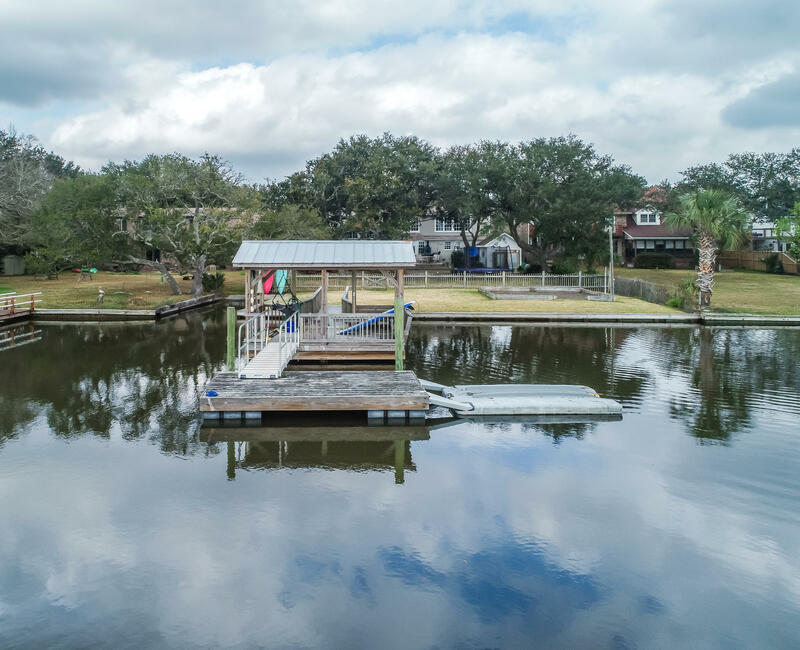 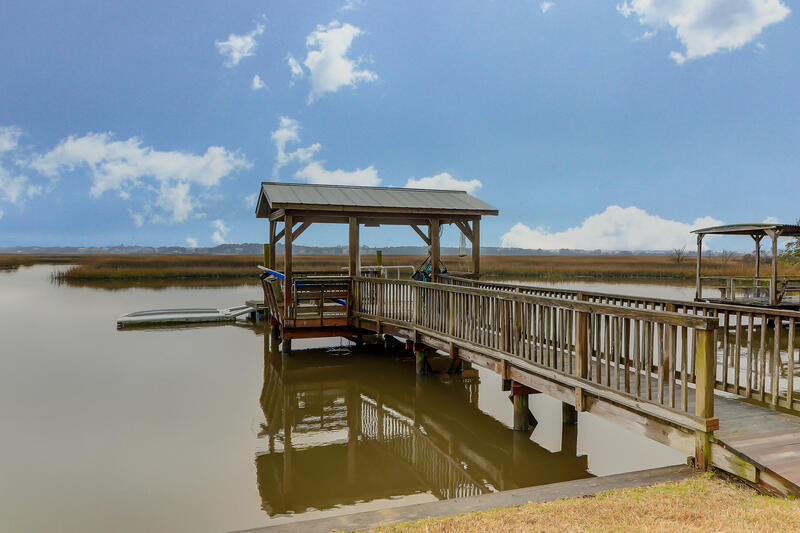 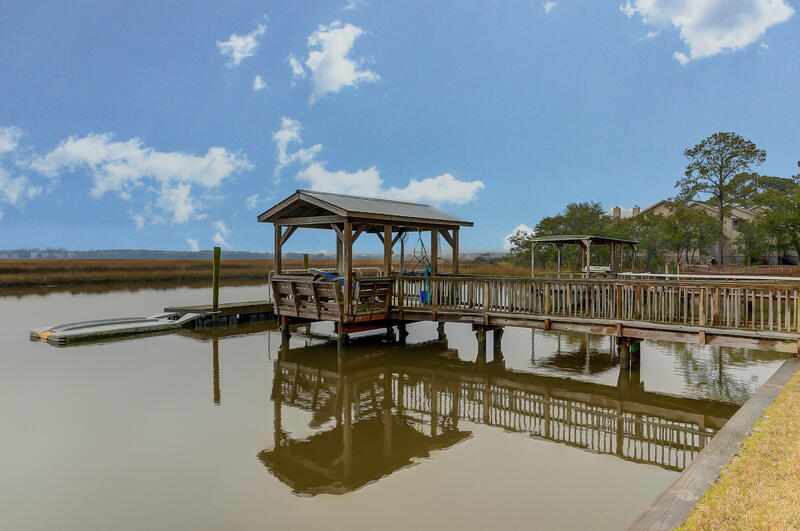 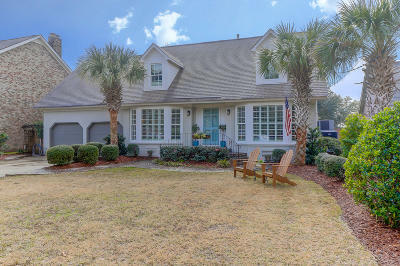 Waterfront Home with dock and spectacular panoramic Tidal Creek views of the Intercoastal Waterway, Johns Island/James Island Connector & Johns Island. 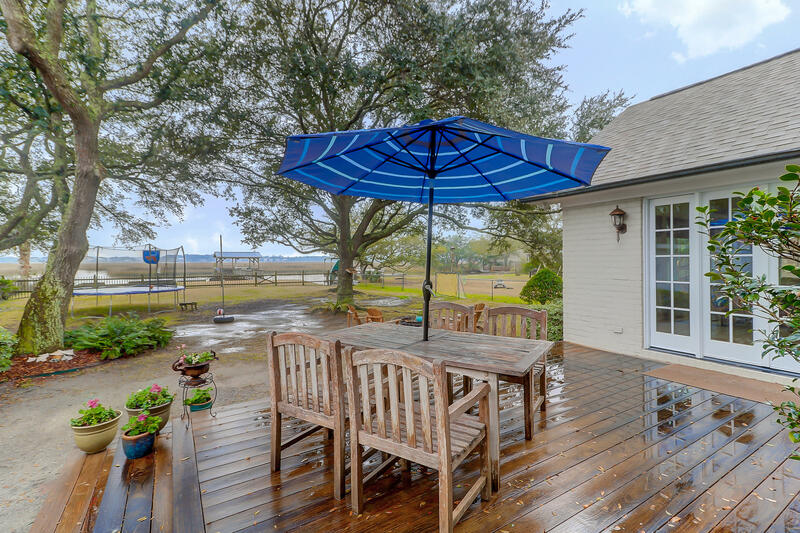 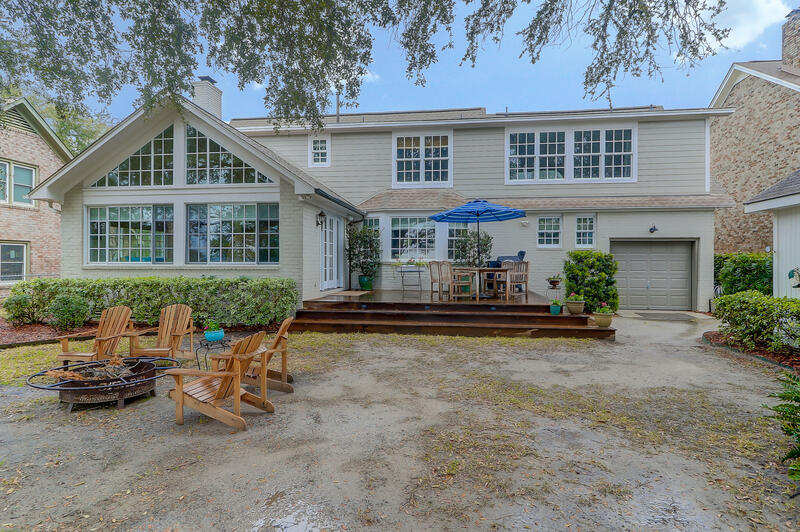 Back yard designed for entertaining with moss-draped live oaks, large deck, and water views. 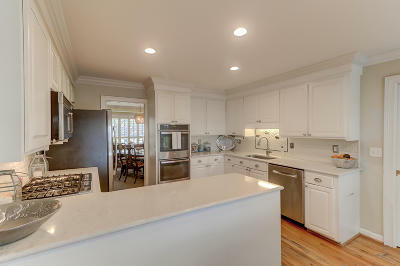 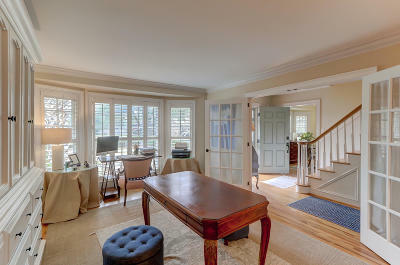 Stately traditional two-story brick home that&apos;s been updated. 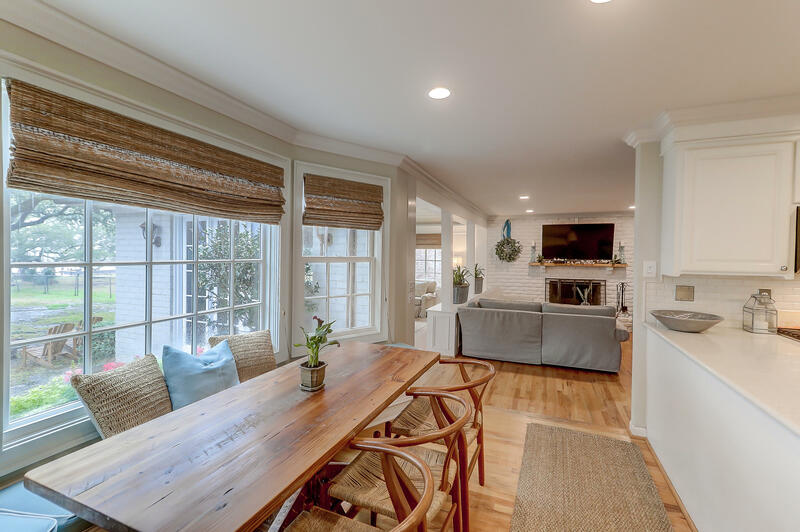 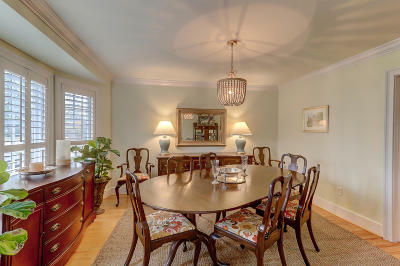 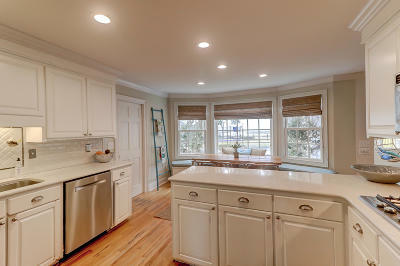 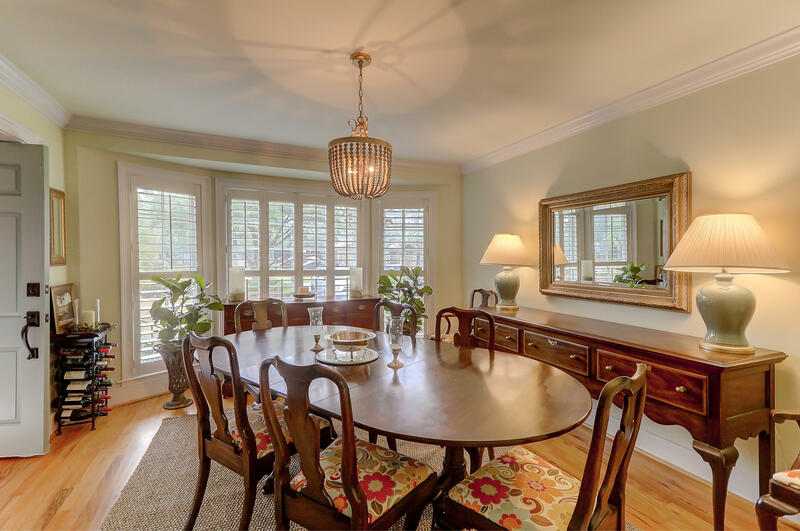 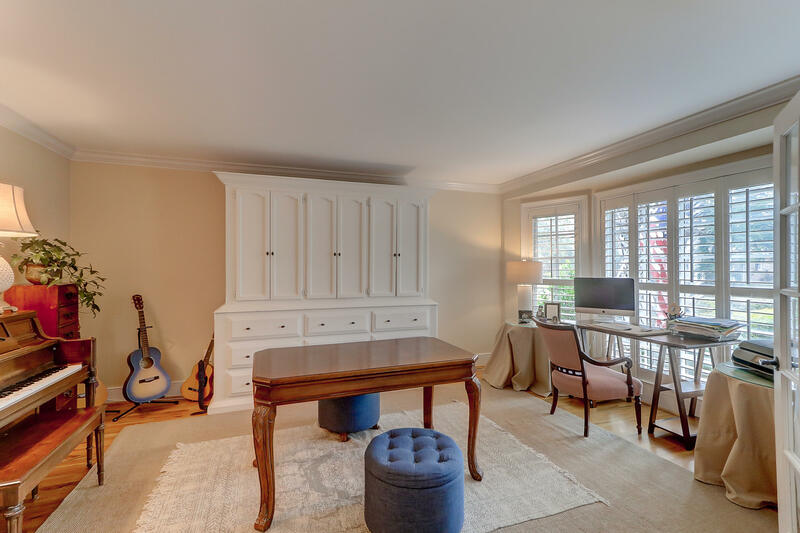 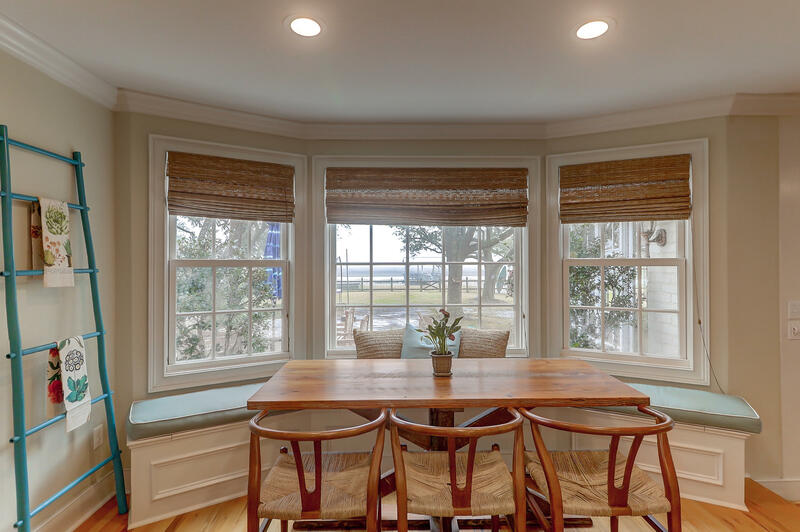 Enjoy the views of the best the Lowcountry has to offer from almost every room in the house. 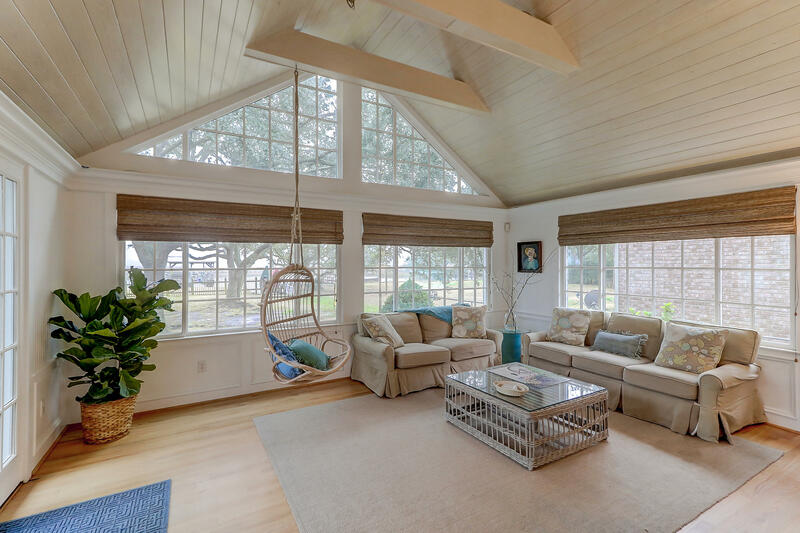 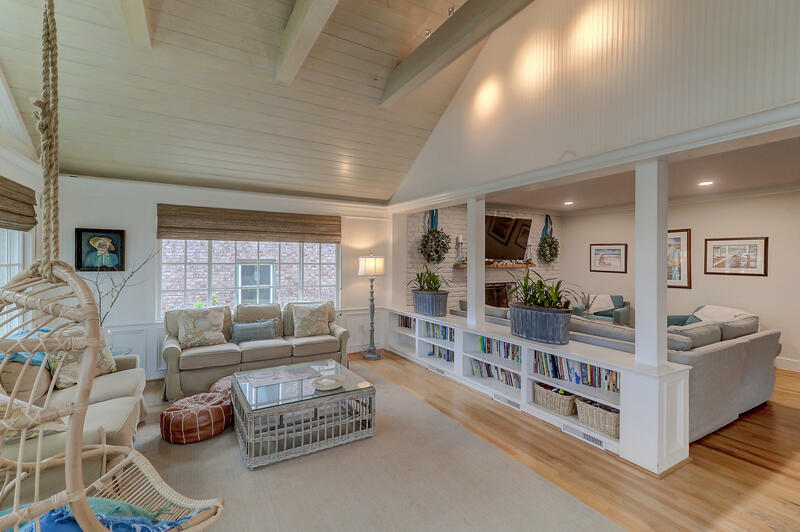 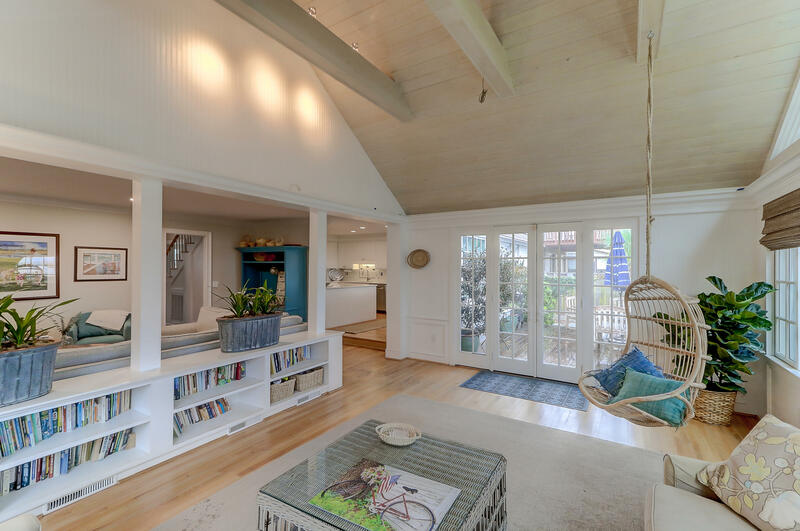 Open floor plan and comfortable living spaces with tons of natural light. 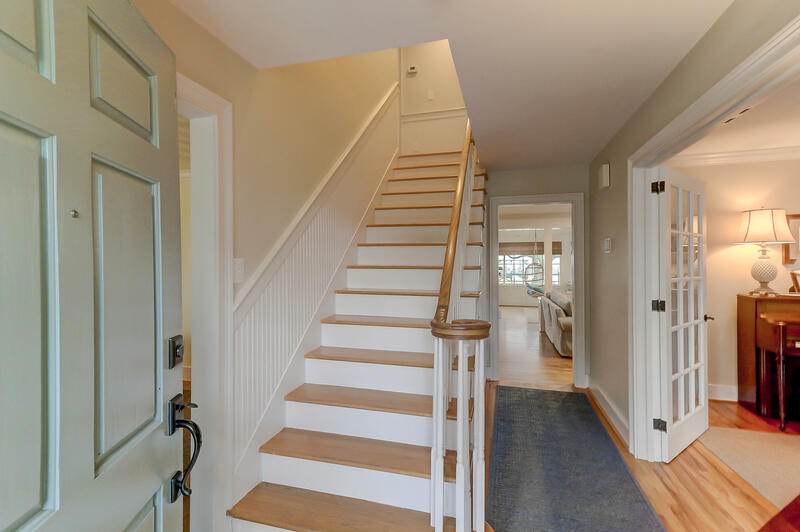 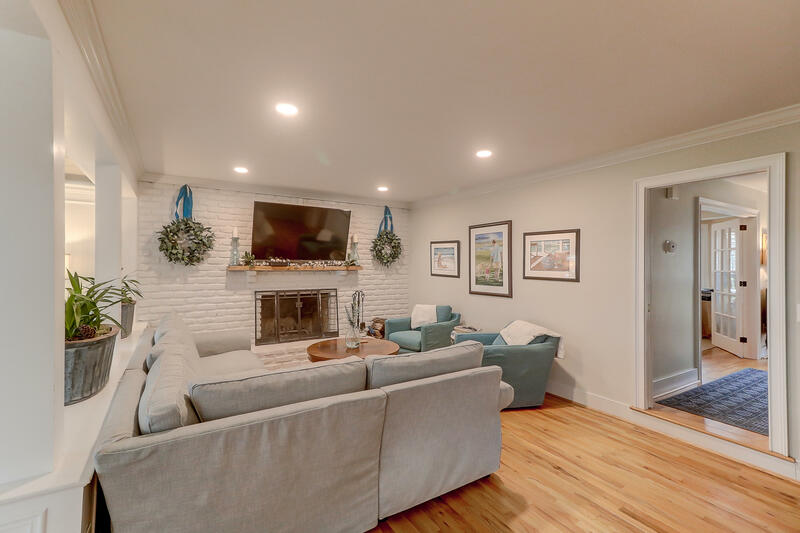 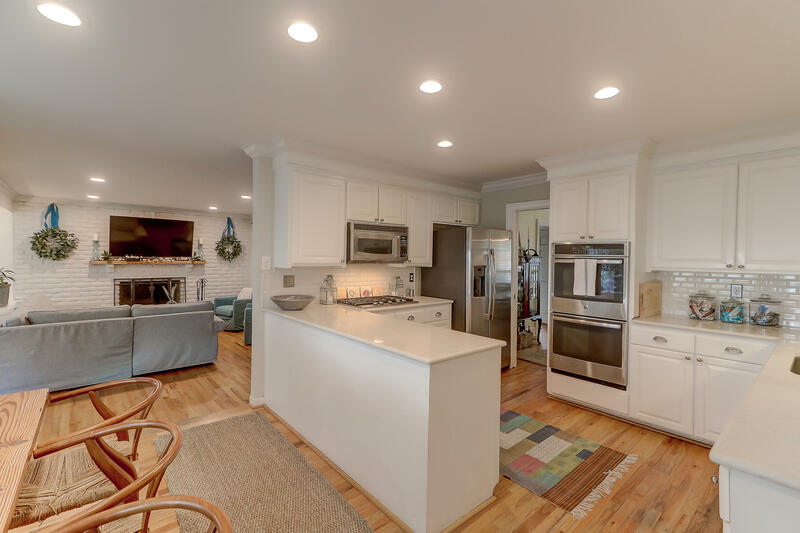 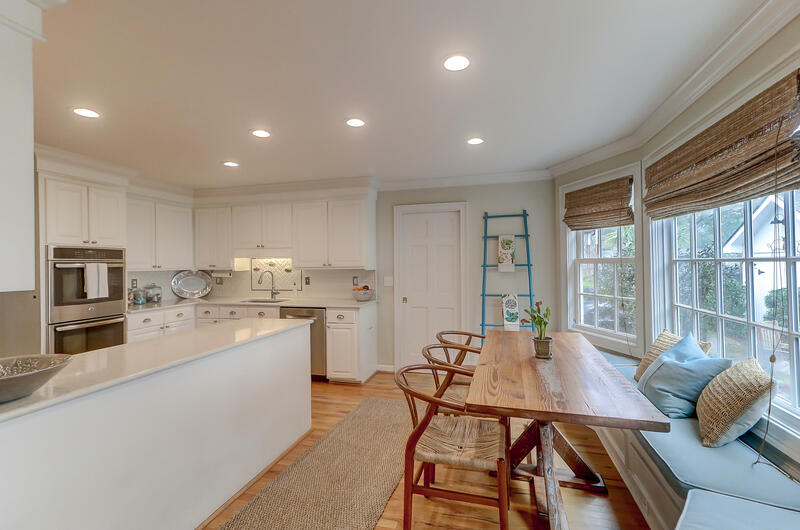 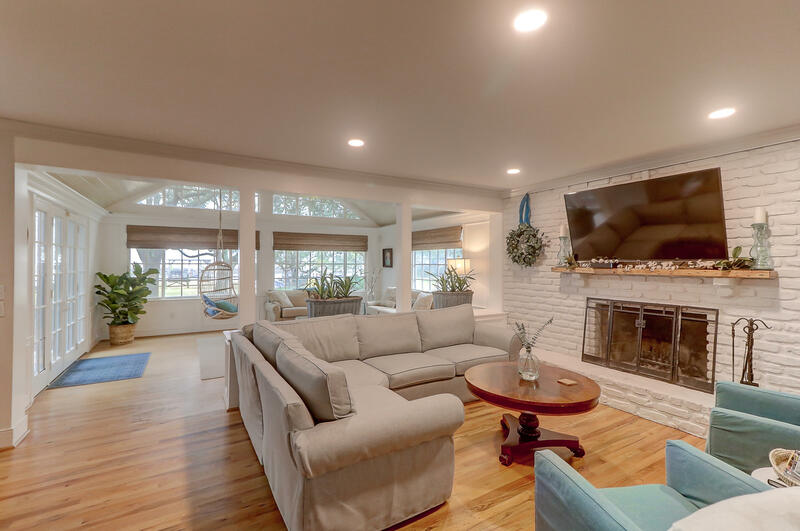 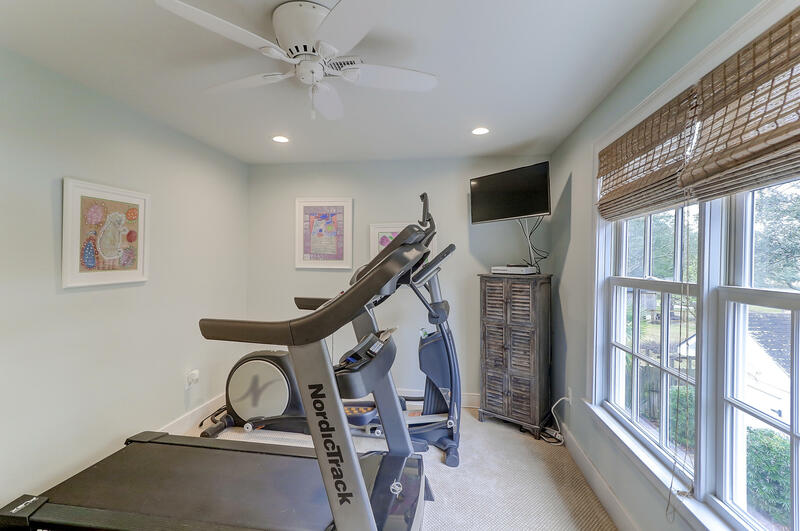 Wood burning fireplace in the den, eat-in kitchen and hardwood floors throughout the first floor complete with formal dining and living rooms. 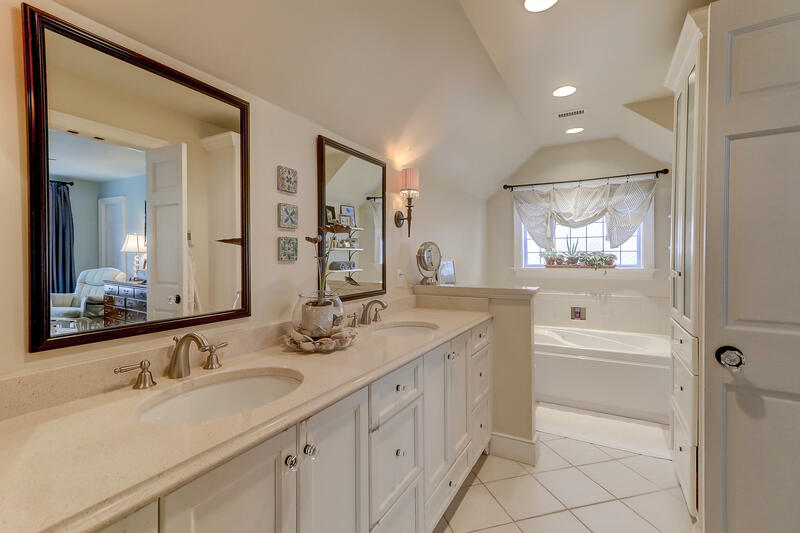 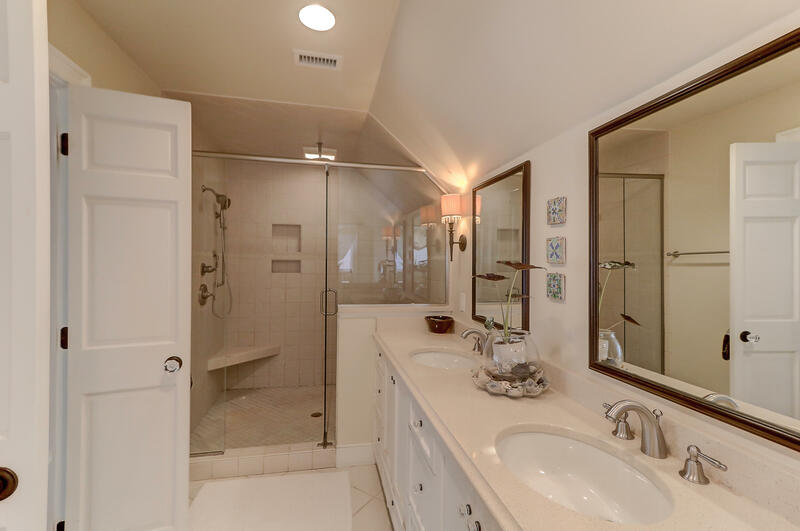 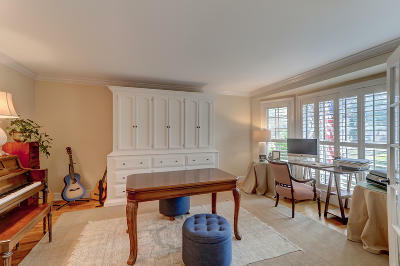 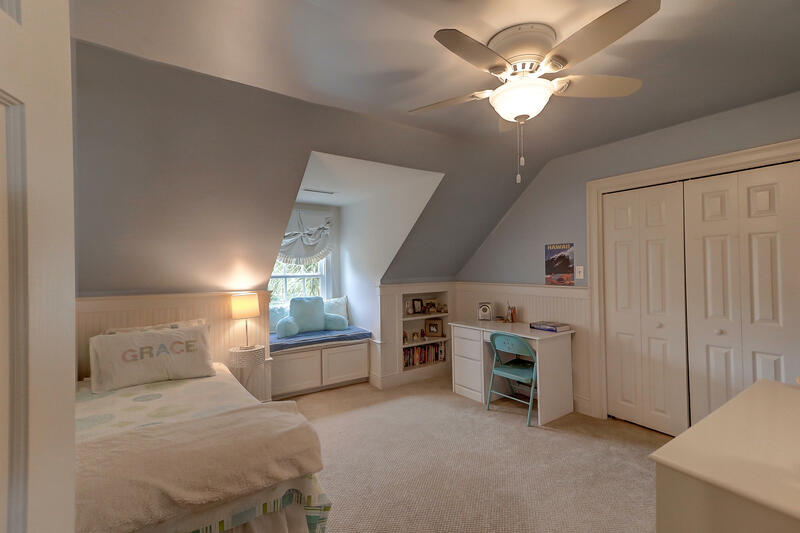 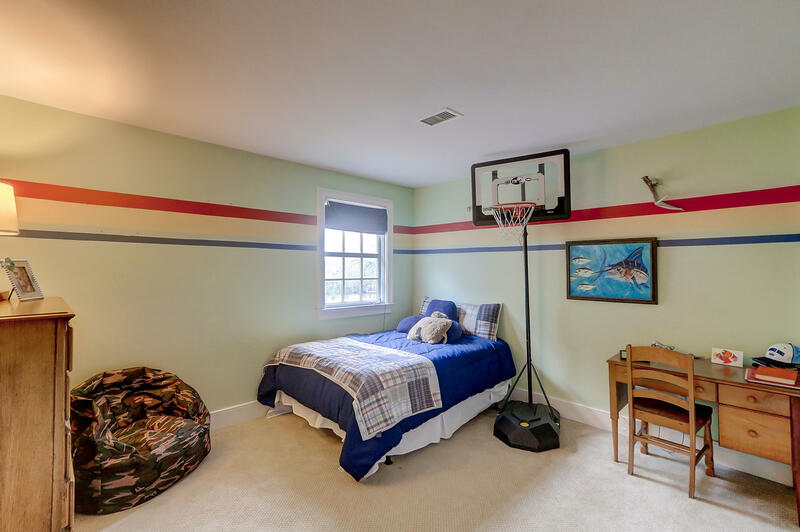 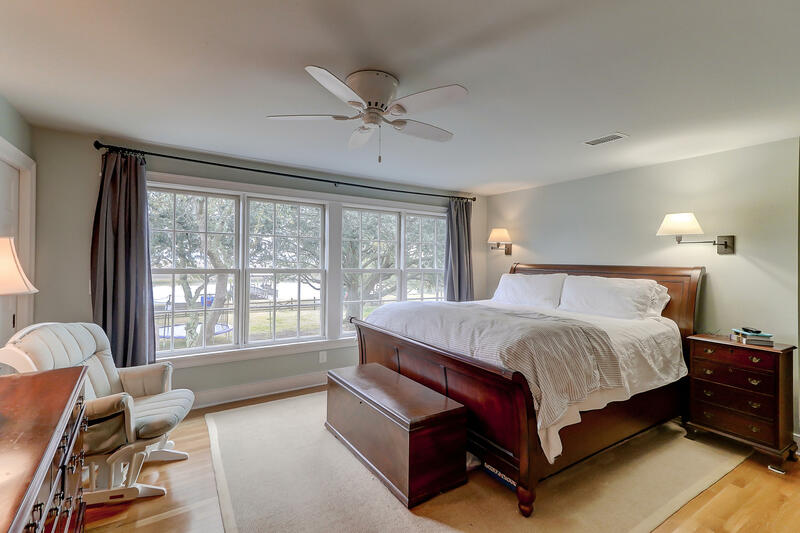 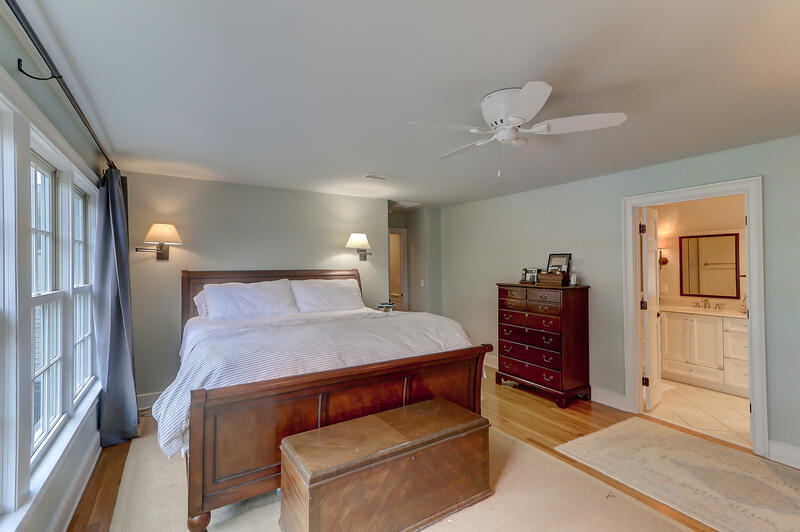 The huge master bedroom boasts dual walk-in closets and spacious bathroom. 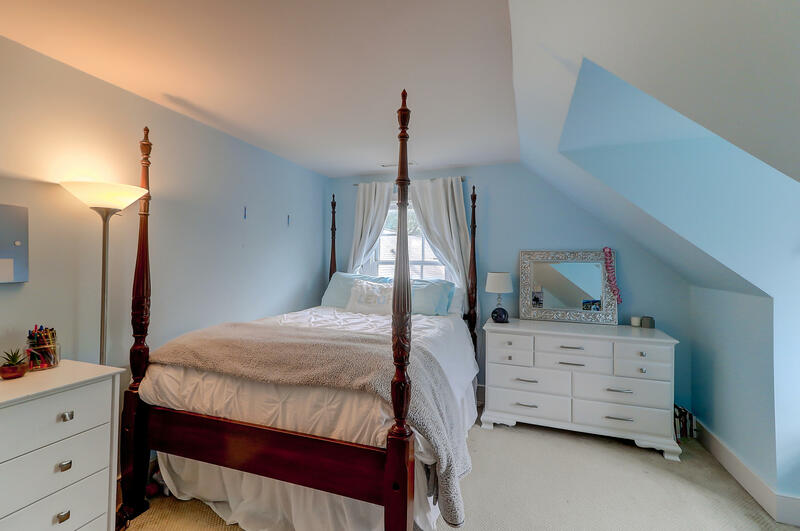 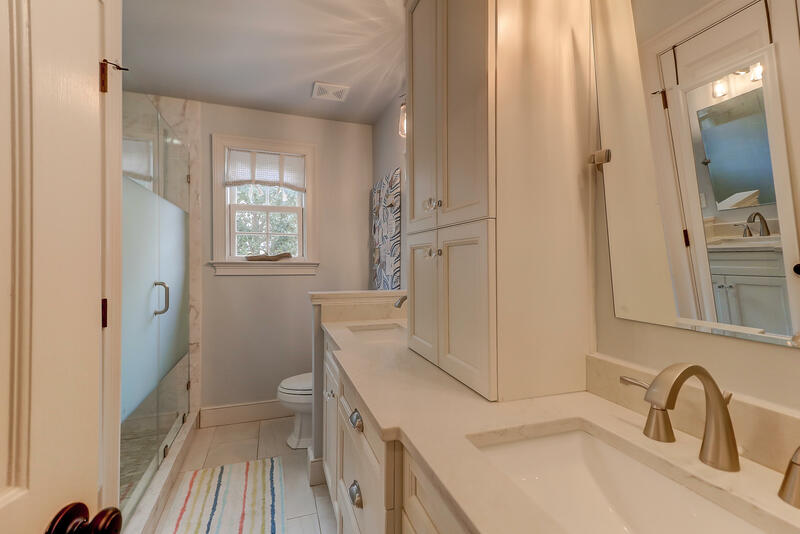 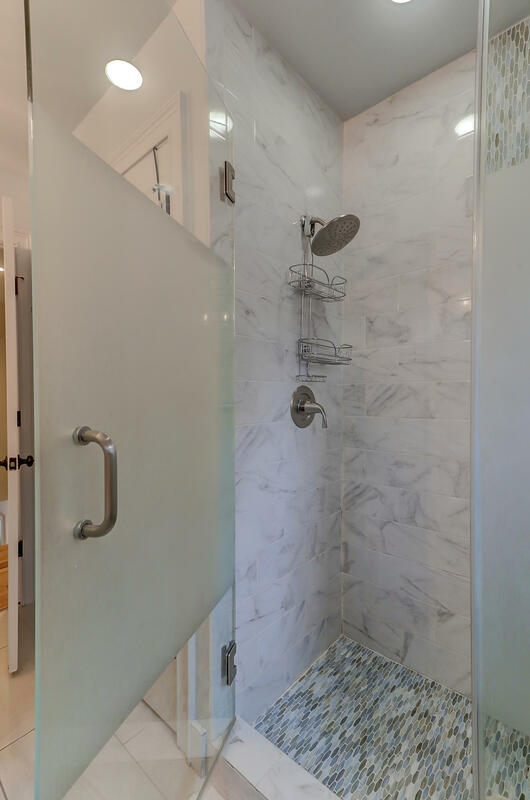 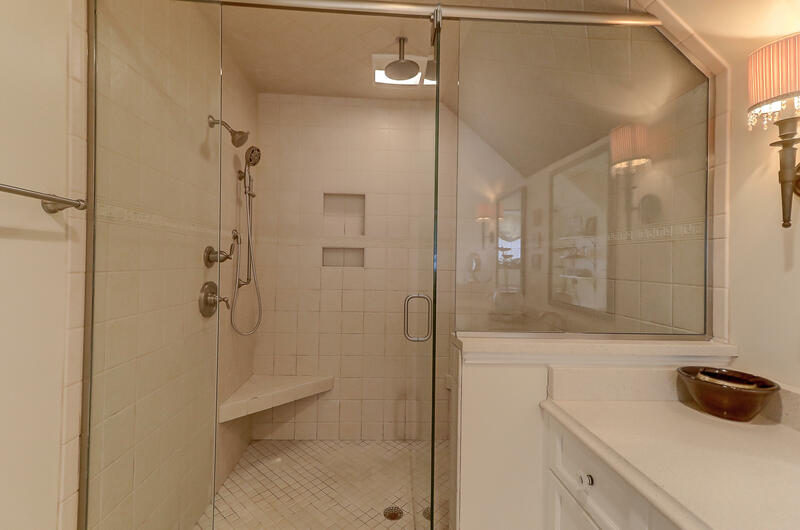 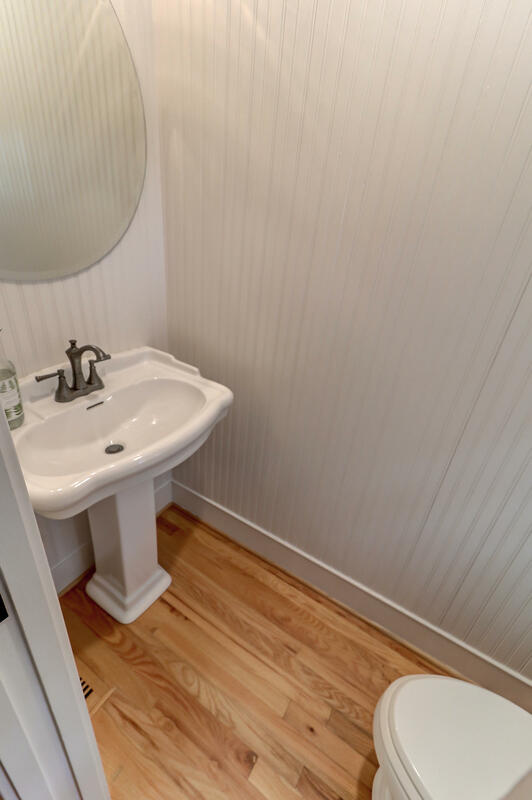 Four additional bedrooms upstairs are well sized with updated hall bath. 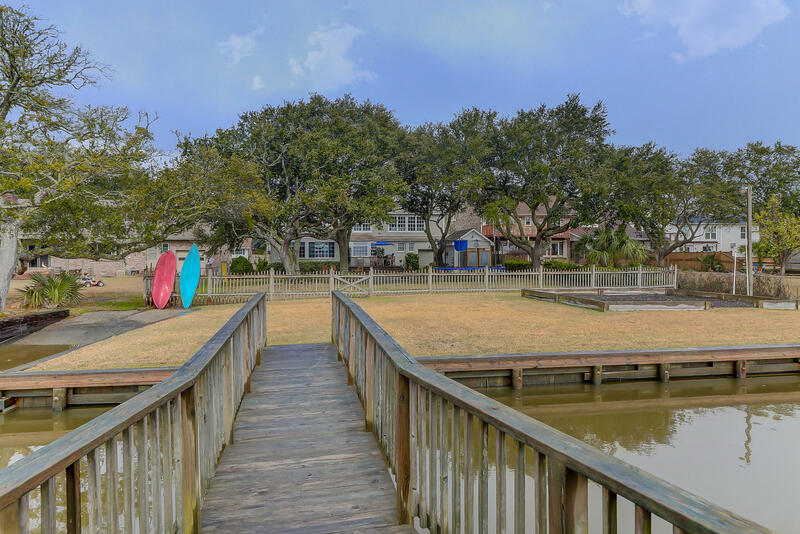 There is plenty of parking with a 2 car garage & pass thru garage to the back yard. 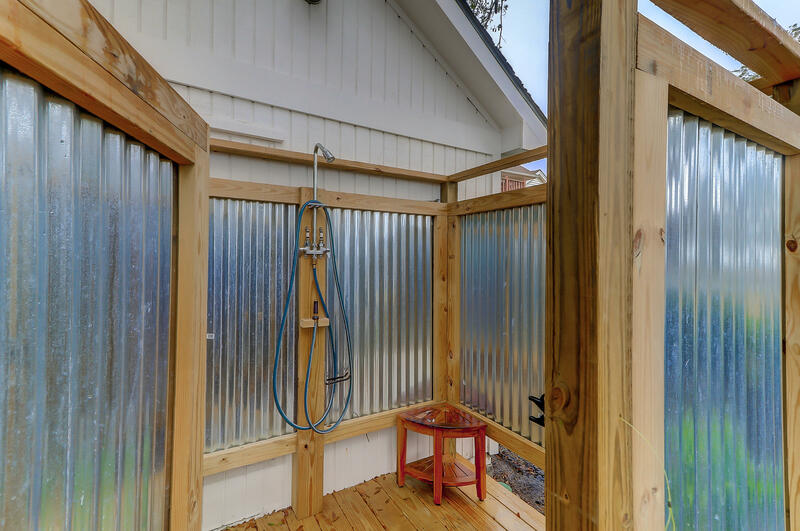 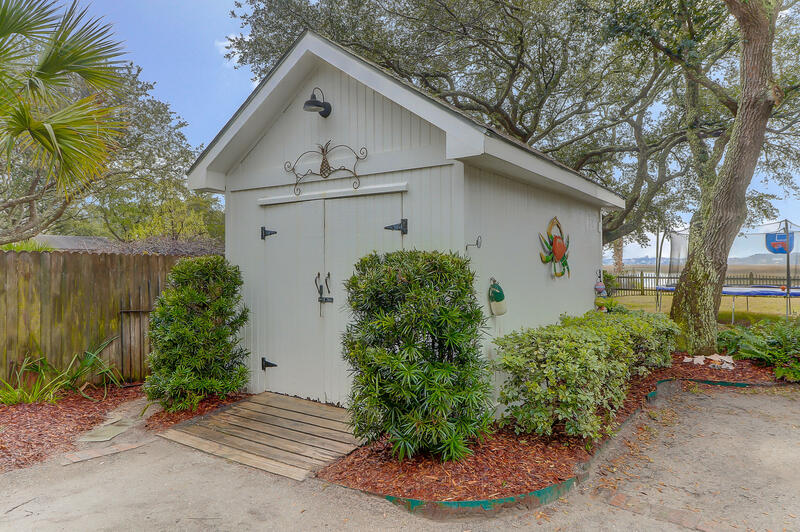 The outdoor shower and shed, live oaks and back make for a perfect oasis.